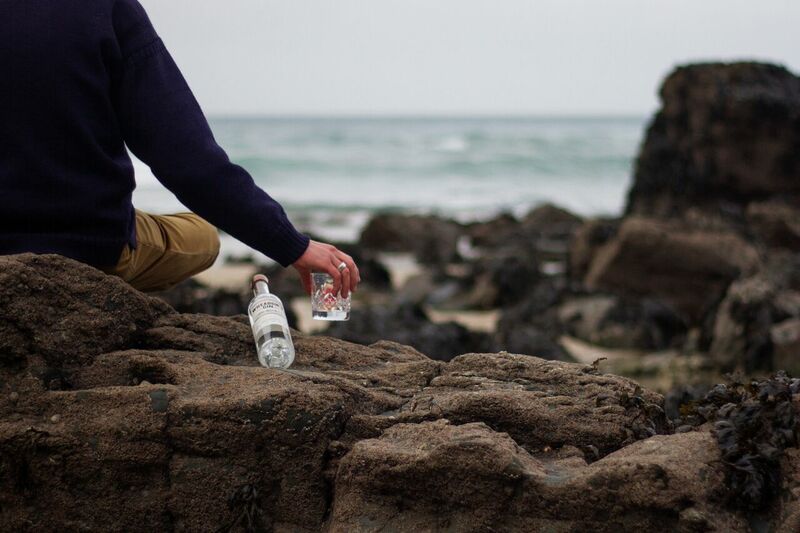 We’ve teamed up with the brilliant lot at Guernsey Woollens to create the perfect Christmas present from Guernsey for the gin lover in your life. 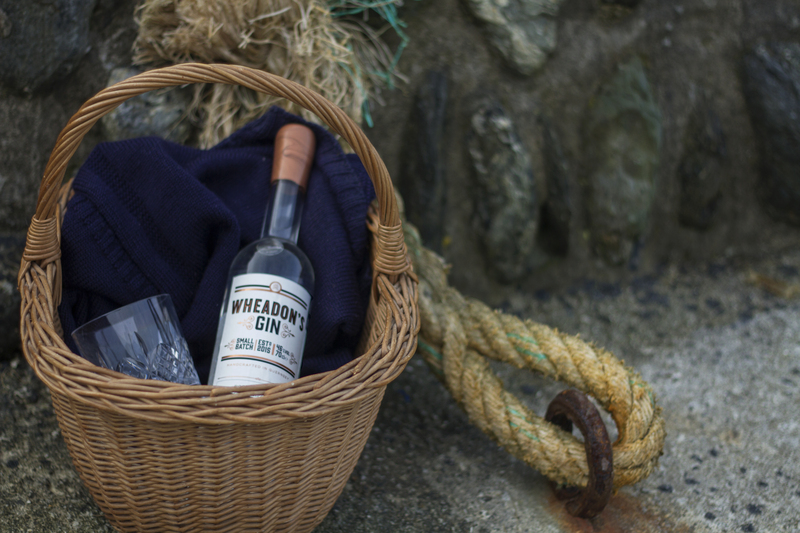 A bottle of Wheadon’s in its own Guernsey jumper! This is a very limited edition release and is only available from the Bella Luce Hotel. If you would like to know more, head to the bottom of the page for more information. We love the traditional Guernsey woolen jumper; beautiful, timeless and of the highest quality. A famous garment with an incredible heritage, rooted in functionality but now also a coveted fashion item. 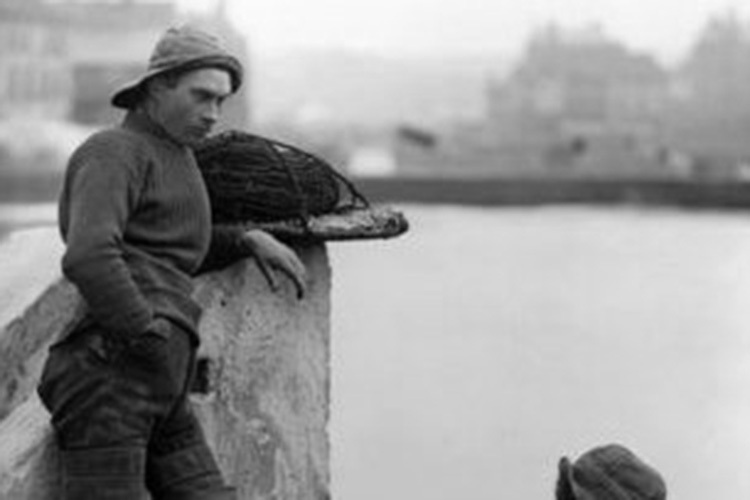 Did you know that the Guernsey is one of the oldest menswear items still worn regularly today? Guernsey’s association with knitwear dates back to the early 16th Century, when the Crown granted a license for Guernsey to import wool from England. The island soon became famous for the quality of its woolens and throughout the 17th Century, when stockings were the height of fashion, the finest stockings that your guineas could buy were knitted here on Guernsey. Elizabeth I was reputed to wear them, Admiral Lord Nelson endorsed them as part of naval uniform, and Mary Queen of Scots is said to have worn Guernsey stockings to her execution. When stockings eventually fell out of favour, the classic and practical jumpers produced by the wives of Guernsey’s fishermen saved the island’s knitwear industry and the “Gansey” design became popular in communities around Britain’s coastline. Originally hand-knitted using tightly twisted woollen yarn that was rich in naturally occurring lanolin, the Guernsey was and is a warm and practically waterproof garment (thanks to the tight knight and water-repellant properties of the waxy lanolin). The jumpers have a symmetrical front and back so that they can be worn out evenly and it’s often said that this “back-to-front” style allowed fishermen to wipe their hands on their jumpers and then simply turn it around and carry on as normal. The distinctive ribbed pattern at the top of the sleeves represents a ship's rope ladder, the garter stitch panel along the bottom depicts waves breaking on a beach and the stitching on the shoulders represents pebbles, stones and sand. 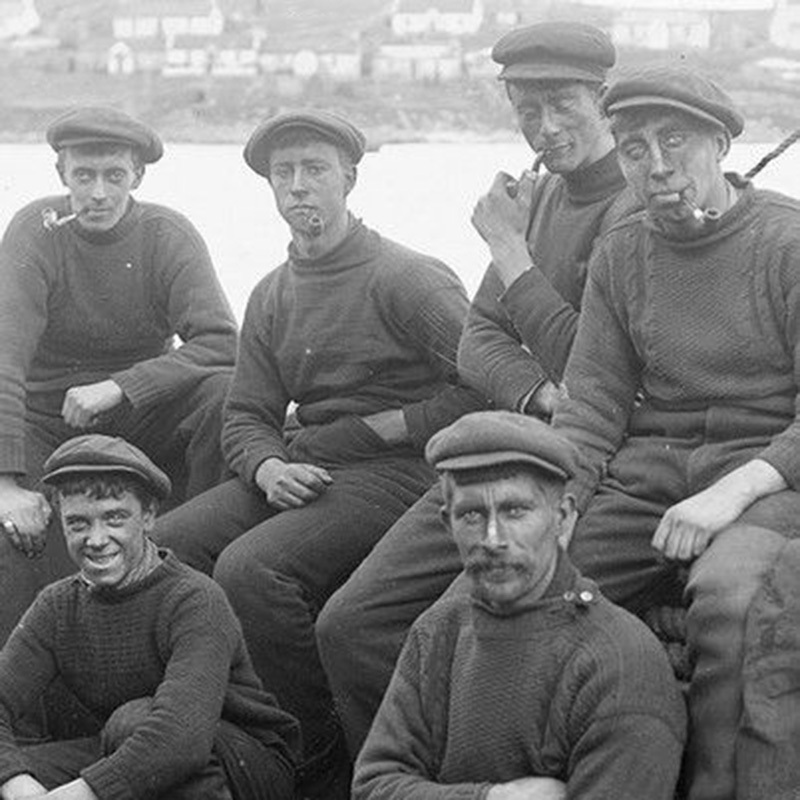 As was the case in many coastal communities around the British Isles, these patterns were adapted by individual parishes or families, one reason sadly being that if a fisherman were lost at sea and his body later washed ashore, the pattern of his jumper was often one of the best ways to identify who he was. Traditional Guernsey jumpers are still produced on the island by a team of six people at Guernsey Woollens, who have a workshop in the Parish of Vale near the North West coast. The company was founded in the early 1970s and is run by Phil Walker and Arthur Eldridge. Their aim is to preserve the Guernsey, producing their knitwear on-island using British wool. They currently produce around 250 Guernsey’s each week both for individuals, wholesale and for organisations such as the RNLI. Guernsey’s are still part of the officer’s uniform for many British Army regiments, with each one having it’s own distinct colour or cut; the 7Th Armoured Desert Rats have a neutral khaki colour knit, the Mercian Regiment’s jumpers has a crew neck, whilst officers of the Intelligence Corps wear a green v-neck. These are all produced by Guernsey Woollens. The team of six at Guernsey Woollens machine knit their jumpers using the latest technology that allows them to respond to individual orders immediately, often producing single garments in particular colours or producing custom sizes for customers, such as longer jumpers. The use of machines allows for much greater flexibility, however each and every jumper still has to be finished by hand. Whilst it’s possible to choose from a range of colours, most customers apparently still choose the classic navy blue; there are some classic items of clothing that have long stood the test of time and will no-doubt continue to do so, and a navy blue Guernsey jumper is surely one of them. An item of knitwear from Guernsey Woollens makes for a wonderful souvenir from a visit to Guernsey and is one that you will get a lot of use, pleasure and warmth from. It is said that a true Guernsey jumper takes several decades to wear in and will become an heirloom item to be passed down through a family, providing plenty of warmth and comfort along the way. They’re certainly fantastic if you’re travelling light and only have space in your luggage for one jumper, and we can’t recommend them highly enough.